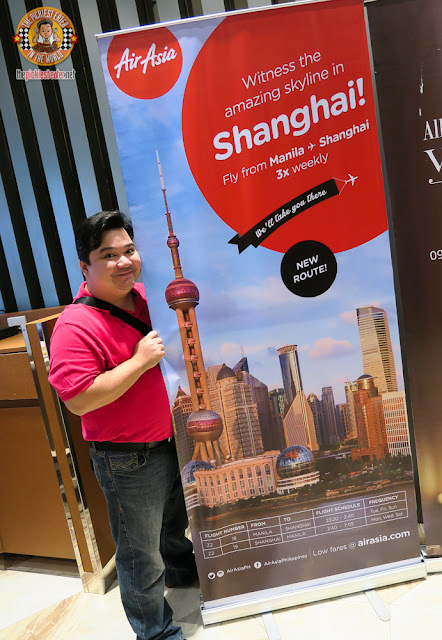 THE PICKIEST EATER IN THE WORLD: AIR ASIA FLIES HIGH IN SHANGHAI: WIN A FREE TICKET TO SHANGHAI! AIR ASIA FLIES HIGH IN SHANGHAI: WIN A FREE TICKET TO SHANGHAI! I've traveled Air Asia numerous times for both domestic and international trips, and I've never had a problem with my book or the flight itself. Though they are known as a "Low Cost Carrier", you wouldn't feel it from the quality of service. 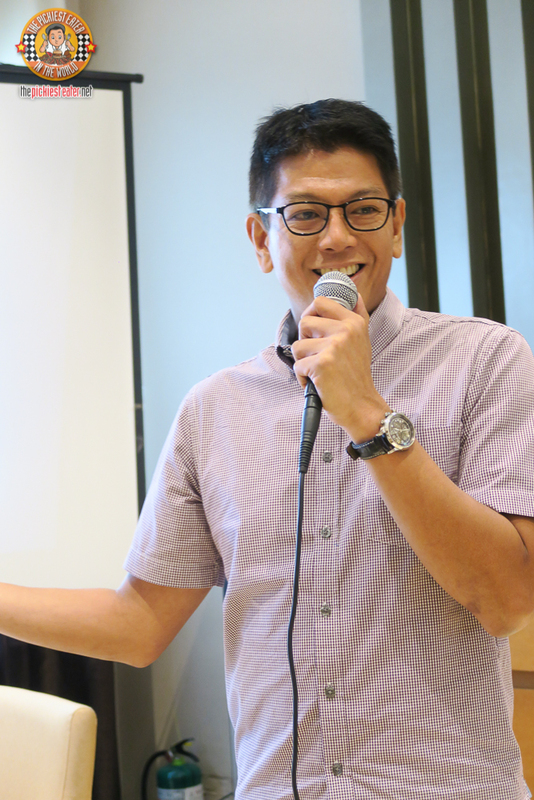 Like many people in our country bitten by the wanderlust bug, I'm always on the lookout for a great travel deals, and the Air Asia website is usually my first stop! It's awesome to see that an Airline with the vast reach of Air Asia isn't content with the lineup of destinations on their roster, and is always looking to expand further for their passengers in the Philippines. True to form, just few days ago, Air Asia unveiled their newest route.. And it's a pretty awesome one! 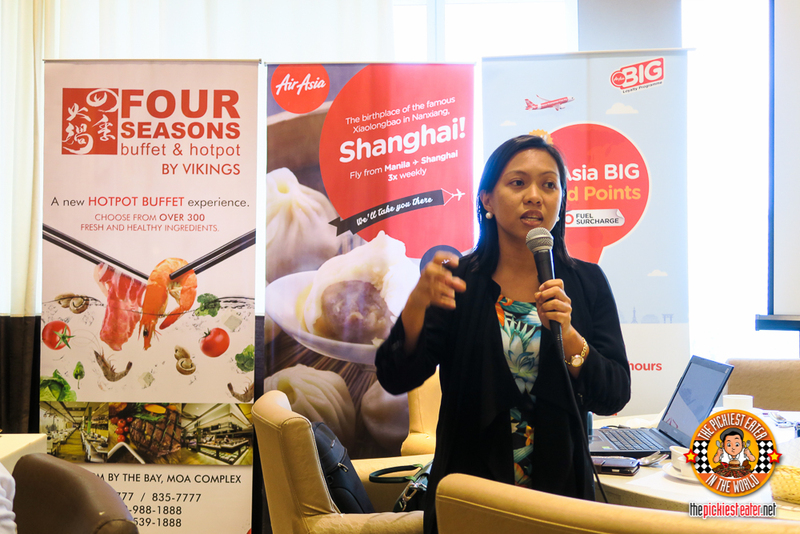 Starting June 10, Air Asia is going to be flying out to Shanghai!!! And guess what? One lucky reader is going to win a free ticket to Shanghai!! 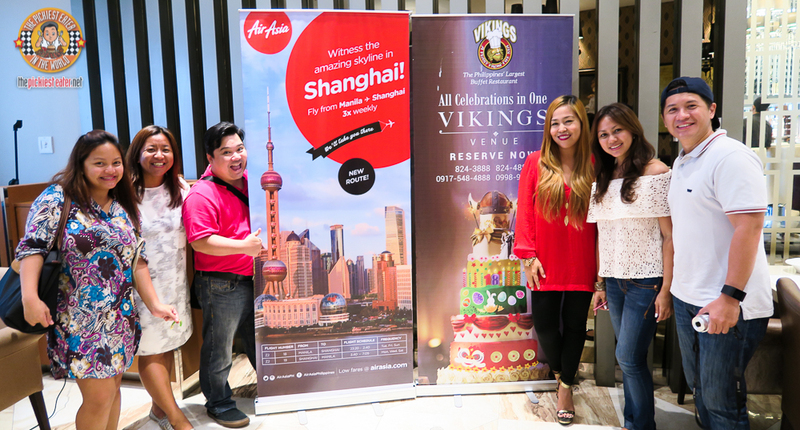 The intimate event held at Niu by Vikings at SM Aura, and was opened by Len Caccam, Philippines AirAsia Marketing Manager, who presented some videos that highlighted the beauty of the city of Shanghai, and why it has become a must see tourist destination. So in connection with this, AirAsia is introducing its Manila-Shanghai route with all-in promotional fares available for booking at www.airasia.com starting May 30 until June 12, 2016! Guests who will avail of this promo will be able to travel from June 10, 2016 to October 29, 2016. 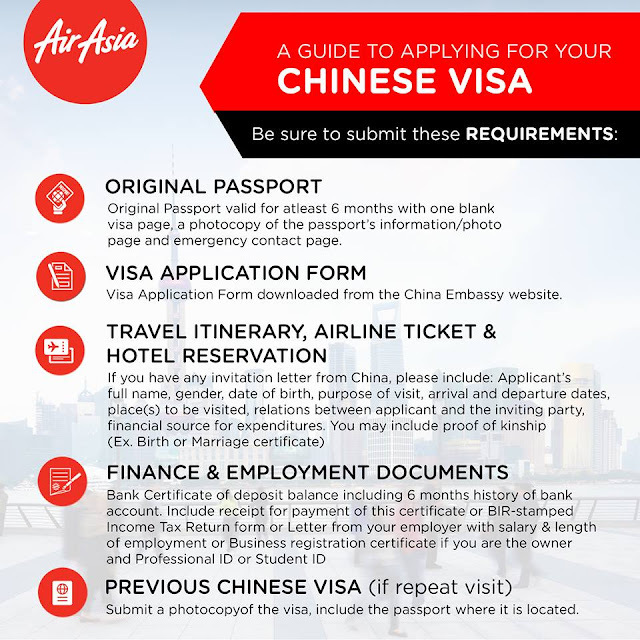 This promo is also available on AirAsia’s mobile site mobile.airasia.com. Afterwards, we were treated to the musical stylings of sultry singer, Raquel Bartolome, best known for her gravity defying splits and costumes that would make Lady Gaga look like Mother Superior! 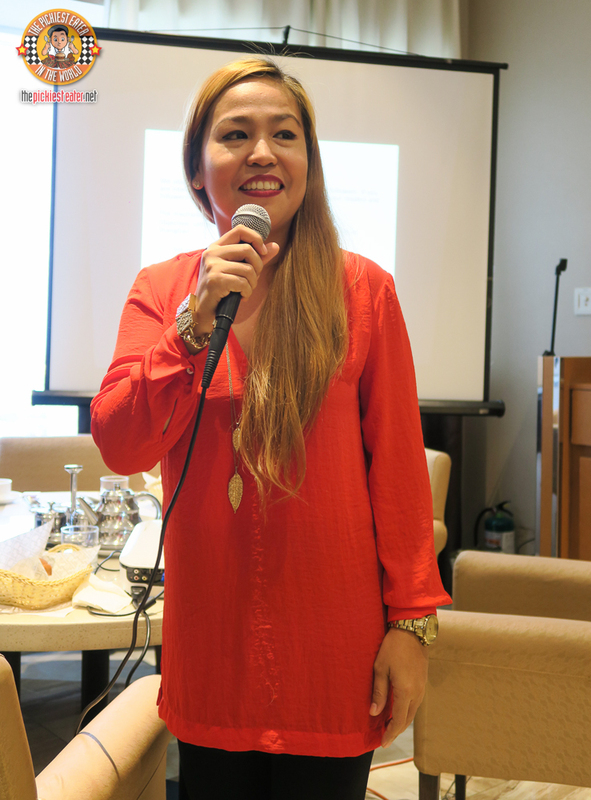 I'm kidding, my dear friend Raquel Bartolome is head of marketing for the Vikings Group, in which Niu is under. Niu served exceptional Chinese dishes, keeping everyone anxious to experience Shanghai first hand! 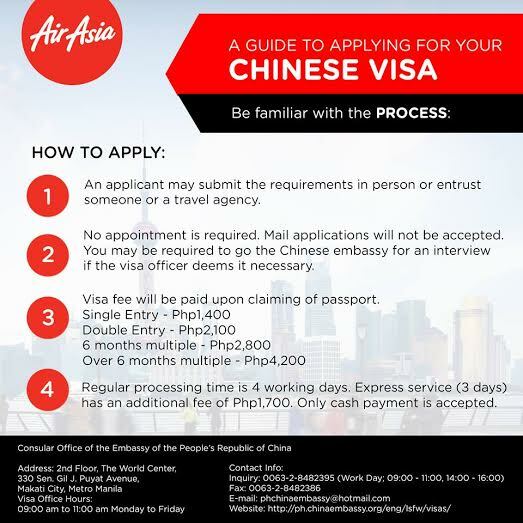 Once you have all your requirements ready, just follow these steps! The price for the processing fees aren't as daunting as one would think! Thank you to my friends at Air Asia and Niu by Vikings for an amazing time! As a special treat to my readers for my Anniversary Month (We're turning 6, can you believe it? ), I'm giving away a free trip to Shanghai to One of you! VISIT MY INSTAGRAM PAGE FOR THE MECHANICS ON HOW TO JOIN THE CONTEST AND WIN A FREE ROUND TRIP TICKET TO SHANGHAI!! Who won this? Oh my. Can't see where it is posted.